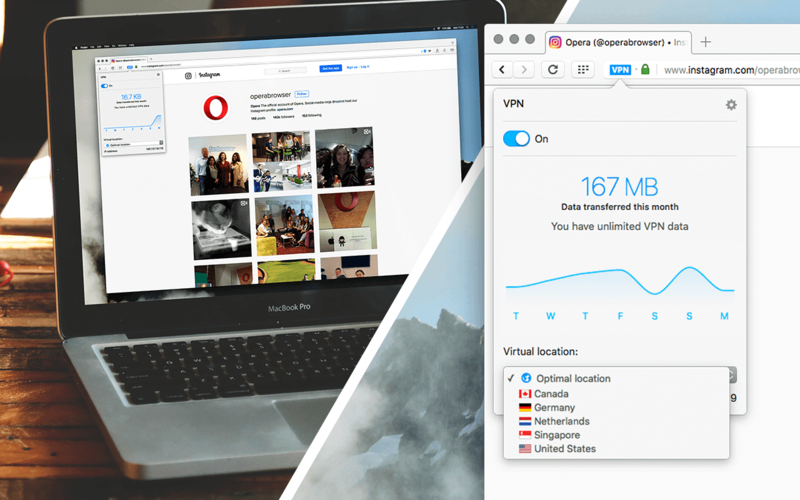 Today, we launch Opera 40 with our new free, unlimited, no-log browser VPN service. 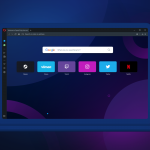 With this launch, Opera becomes the first major browser to release a built-in VPN service. 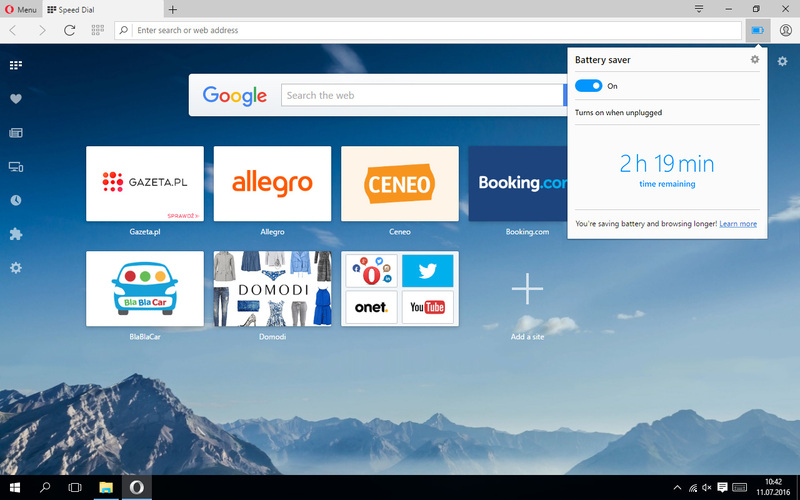 When turned on, the browser VPN creates a secure connection to one of Opera’s five server locations around the world. The VPN lets you choose where to appear on the internet, giving you online privacy and security a boost while making content easier to access. We strongly believe that if more people knew how the internet truly works, they would use a VPN – and we hope that by making our browser VPN free and easy to use, it will become an essential tool for everyone. Until now, VPNs have largely been used by people who have a good understanding of how the internet works. Only every second person we asked in a global survey knew what a VPN was. Still, more than 80% of the people questioned in the USA and Germany were concerned about their online privacy. More than 70% of people who knew what a VPN was but still didn’t use one, when asked why, said it was because they found VPN services difficult to use and were not willing to pay for the subscription. Our free browser VPN secures all traffic through Opera (but not other browsers or apps you have installed). Since the initial developer release, Opera has added some new features to the browser VPN. In this version, you can choose whether to turn VPN on for everything the browser shows, or only use it when browsing using private windows. Also, new virtual locations – Singapore and the Netherlands – have been added to bring you even more privacy options. You’ll be able to enjoy the power saving mode automatically whenever your laptop is unplugged. We’ve also added new power saving settings, so you can configure the threshold for when automatic mode should kick in. We’ve added the estimated remaining battery capacity to the user interface so you can keep track of your power. We love using Chromecast, so we found a way to make it work with Opera. To use Chromecast with Opera, first download and install the Chrome extension from the Opera catalogue. Then you will be able to install the Google Cast extension from the Chrome web store. Once it’s installed, and you have the special device attached to your display and are operating on the same Wi-Fi network, the device should be detected and you can begin streaming. Chromecast works for YouTube videos only for now. Further improvements have been added to the video pop-out feature. Even more video sites and players are now supported. We have also tweaked it so the video pop-out button is less intrusive, and is disabled for short videos. Closing the video is now much simpler – just a single click. To use the personalized newsreader, click the News icon on the left-hand side of the Speed Dial and then click the “+” button. You can then paste a URL into the search field. Once the URL is recognized as valid source, you can add it. As you probably know, the underlying engine that renders web content in Opera Desktop is called Blink. Opera works very closely with Google and other contributors, committing heavily to improve web standards support in the engine to make it more efficient. Promise-based getUserMedia. The navigator.mediaDevices.getUserMedia() API, which returns a promise, is now supported. Unprefixed CSS filter. The CSS filter property is now supported in its unprefixed form. A demo featuring SpongeBob SquarePants is available. For now, -webkit-filter is still supported as an alias for filter to aid backwards compatibility. The prefixed version may be removed in future. HTTP/0.9, the predecessor to HTTP/1.x, is now deprecated and will be removed in a future release. Its replacement, HTTP/1.0, was standardized 20 years ago, and HTTP 2 is just around the corner, which will mean a faster web. Support for DHE-based TLS ciphers has been removed after being deprecated in Chromium 51 & Opera 38. Servers should upgrade to ECDHE ciphers instead. An even more comprehensive list is available at dev.opera.com. 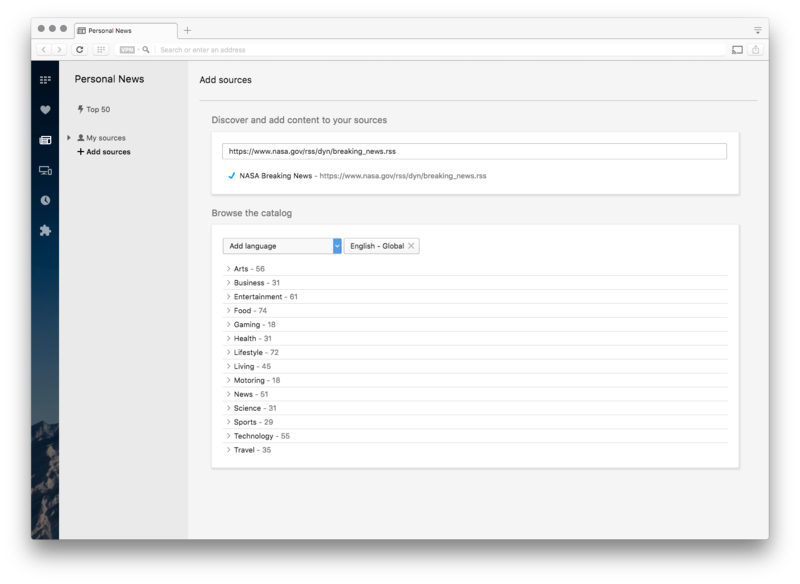 Download Opera 40 and let us know what you think about the built-in VPN and the rest of the new features.